If it's time to upgrade to fuel-efficient, turbocharged power and increased space for your growing family, step up your game with the 2017 Hyundai Tucson. 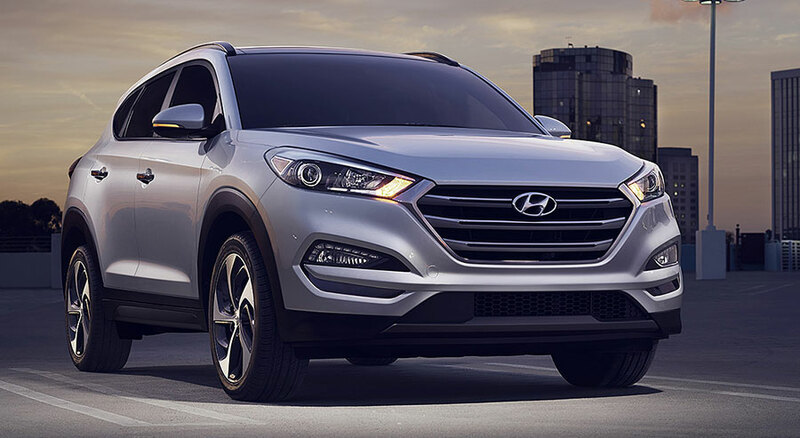 Its status as a five-passenger compact crossover SUV means that your gang will have more than enough elbowroom while you'll stay connected with the Tucson's technology. With its generous passenger space, the 2017 Hyundai Tucson provides a comfortable - and therefore drama-free - ride for the whole family. The cabin design is clean-cut and attractive, with a sleek dash full of high-tech gadgets and an optional two-tone color scheme. Behind the rear seats, you can fill 31 cubic feet of cargo space with everything you need to get through the day - from book bags to gym equipment. To haul larger or more numerous items, like camping supplies, simply fold down the rear seats to create up to 61.9 cubic feet of cargo space. And speaking of getting through the day in one piece, the Tucson tech features are designed to help you do exactly that. The central infotainment system now offers Apple CarPlay and Android Auto capabilities, which mean that you can interact with smartphone features directly on your Tuscon's touchscreen. This minimizes distractions and makes it easier to do things like make hands-free calls or find a new music playlist. 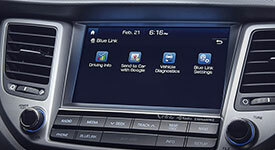 Safety and tech merge in the Tucson's Blue Link Connected Care, which jumps into action after an accident with features that include automatic collision notification and on-demand roadside assistance. In government crash-tests, the 2017 Hyundai Tucson landed a perfect five stars for overall safety. The Insurance Institute for Highway Safety gave the Tucson its top score of "Good." Moreover, the IIHS also awarded the Tucson's forward collision mitigation system with a rare score of "Superior." The Tucson uses this technology to detect an oncoming crash and automatically apply the brakes, making a heroic effort to avoid or mitigate damages. Other high-tech protective features, like the blind-spot monitoring system, help you detect danger before it can become an issue. Use the rearview camera to spot any objects in your path, like skateboards or stray shopping carts, before you back over or into them. One of the best reasons to go with the 2017 Tucson is its sporty ride. When you add all-wheel drive, you'll experience superb traction over slick pavement. This feature provides increased control during the rainy season, and it becomes even more important when winter hits and you're forced to reckon with icy roads. With its sharp steering and maneuverable size, it's easy to fit the Tucson into a parallel parking space or cut through cramped city streets. With the Limited model, your ride in the 2017 Hyundai Tucson just got a little more luxurious. The cabin's leather upholstery feels soft and looks stylish. Exclusive options, like ventilated front seats and heated rear seats, do an excellent job at keeping you comfortable in extreme seasonal weather. Under the hood, its turbocharged engine churns out the power you need for effortless highway merging. Cut through rain and snow with the utmost precision and control. These safety features automatically activate after an accident. Find the route that gets you home the quickest. 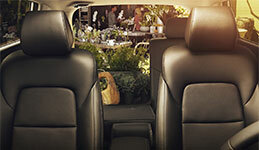 Flip down the rear seats to make room for outdoor adventure. The 2017 Hyundai Tucson's two rows of passenger space are the perfect place for your next road trip. Get ready for the kind of head and leg room that suits a family of 6-footers - in both rows. The Tucson's smartphone integration features come in handy on a daily basis, whether you want to send a text without looking away from traffic or call home and make dinner plans. With its strong showing in the versatility department, your Tuscon is the perfect daily companion in whatever life tosses your way.